Hey y’all – it’s the last post of mending month here, and I’ve got a quicky on how to replace a zipper. Because PUPPY. Sigh. If you follow me on Instagram, you know we got a Cane Corso puppy we named Dany. And Dany is ginormous (at current writing, she’s 8 months old and 80 lbs) and she has destroyed some things with her puppy teething/destruction phase. Like this pillow. She chewed off the zipper and the removed all the stuffing. So, here’s how I fixed it. 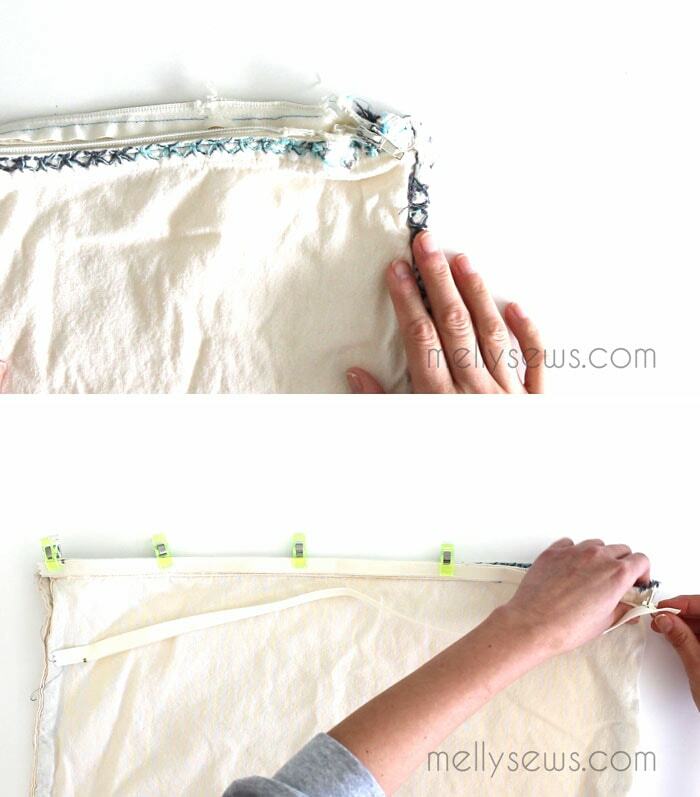 This general process (remove old zipper, sew new one in) will work no matter what kind of thing the zipper was in, but you may have to unpick more seams to get to the zipper if, say, it’s in a pants fly or a lined skirt or dress. I also made a short video of the process, which you can watch below or on YouTube here if it doesn’t load below for some reason. So, here was the zipper when I caught it in Dany’s mouth. 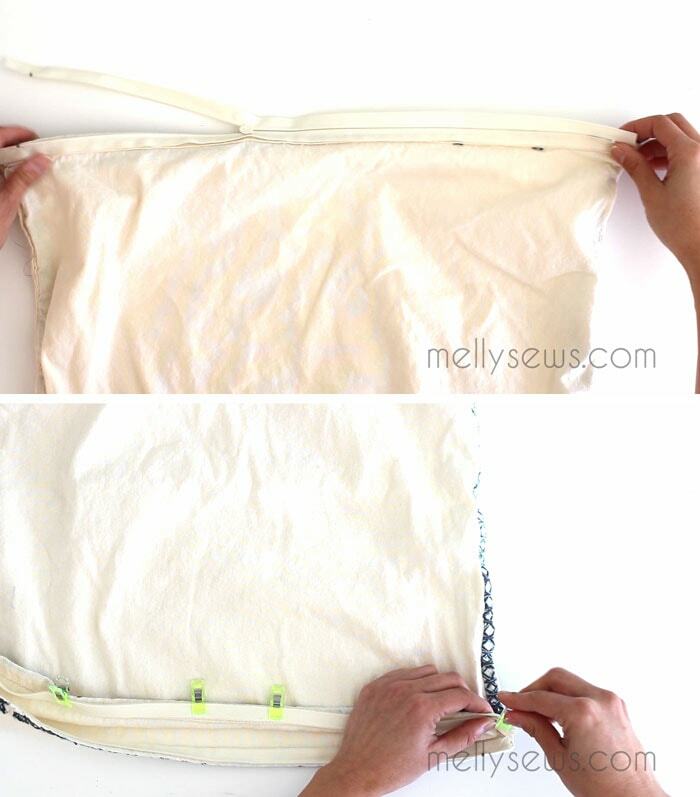 Use a seam ripper to unpick the seams and remove the old zipper (see video). 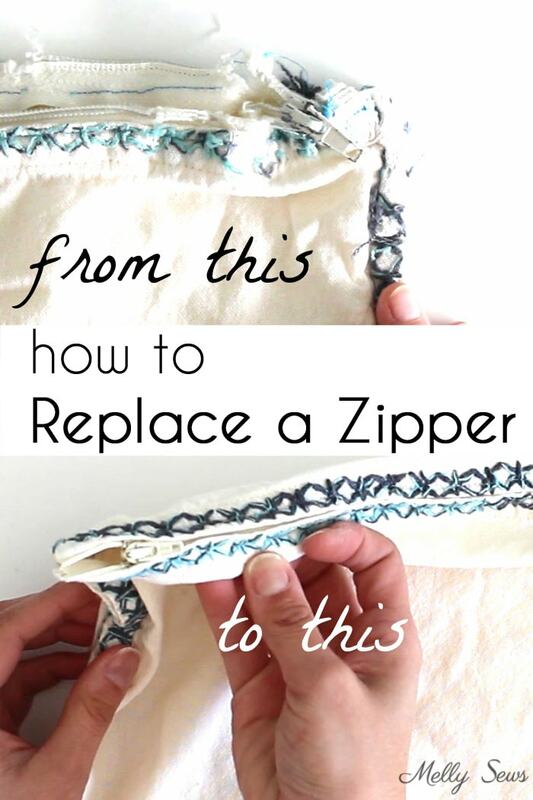 While you’re doing that, pay attention to how the zipper was originally sewn in. 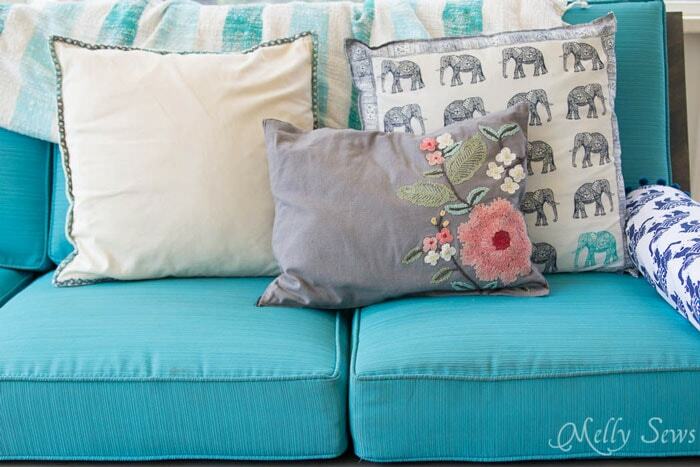 In this case, the zipper was applied under the embroidered edge of the napkins I used to make these pillows. So I clipped the zipper right side against the wrong side of the fabric (above). 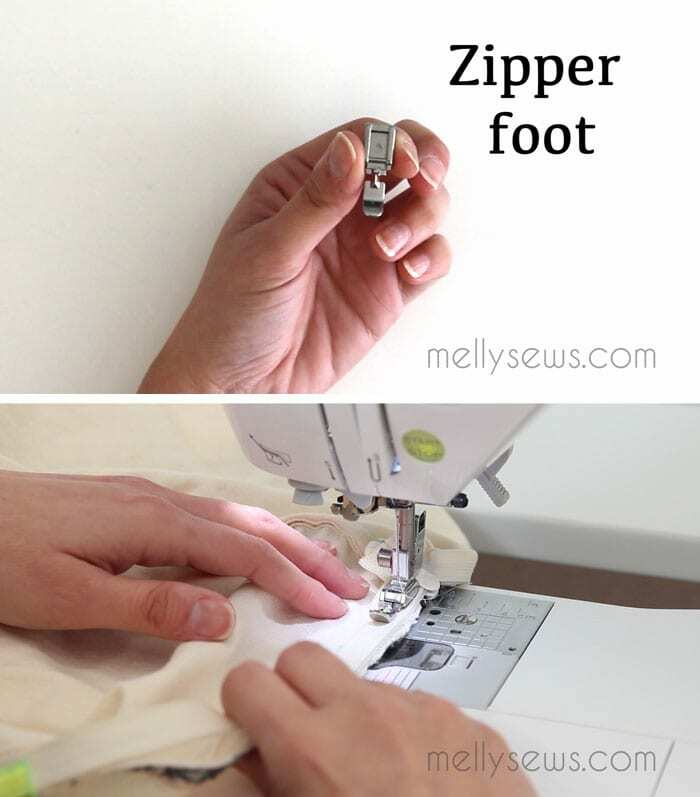 Use the zipper foot on your machine. And stitch in one side of the zipper. Then I unzipped the zipper halfway. I clipped the bottom edge of the zipper to the other side of the fabric, then finished unzipping it and clipped the rest of the other side of the zipper in place. Another line of stitching and I was done! So eventually, when I trust Dany to leave the pillows alone, I can put them back on my couch.